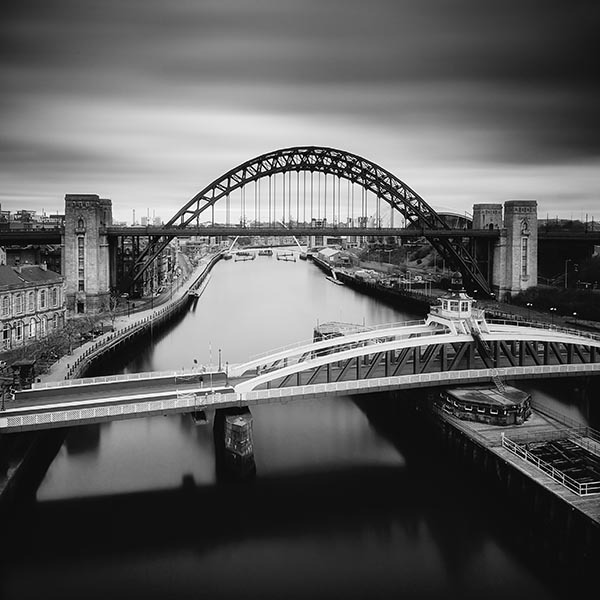 A photo of some of the great bridges that span the River Tyne between Newcastle and Gateshead. In the foreground is the low level Swing Bridge of 1876, then the iconic arch of the Tyne Bridge which was the longest single span bridge in 1928 when it was built. In the far distance you can just see the white arch of the Millennium pedestrian bridge.